Nice video with a beat sound a la Nick Bowers footage we mixed past weeks. 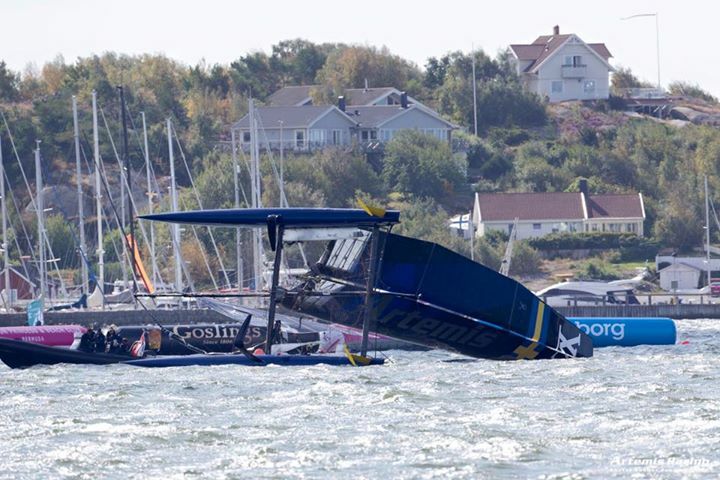 On the AC45s, Artemis had a capsize , thus might be the absence in the video wrap-up. Pic left by sander van der Borch, he reports no injuries and minor Wing damages.